Darren Bartlett won the £79 hole-in-one prize by hitting a lovely wedge on the 3rd hole at Kilnwick Golf Club on Sunday 8th April 2018. The only downside for Daz was the hole is uphill and he never saw the ball go in the hole. Well done Daz. 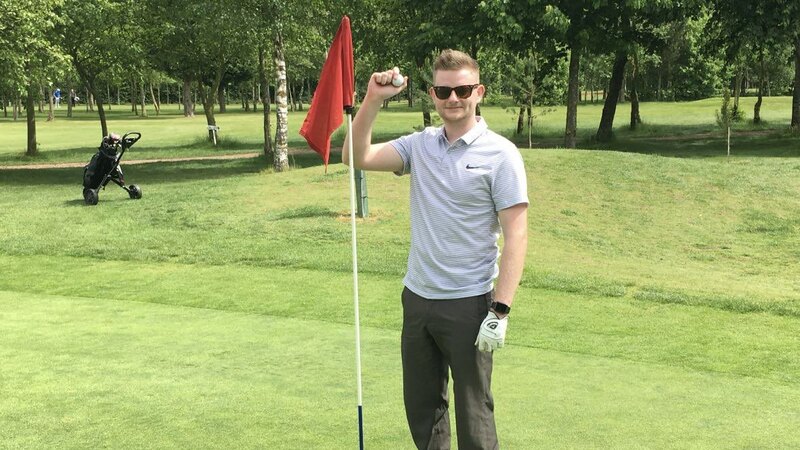 Matty Elmer won the £184 hole-in-one prize by hitting a beautiful thinned wedge on the 7th hole at Bondhay Golf Club on Sunday 21st May 2017. It bounced 50 yards short of the green, took several fortunate bounces & rolled into the cup. Well done Matty. There is no entry fee as we take £1 per player from the five stableford competitions and christmas texas scramble entry fee. The next player to get a hole-in-one at the following competitions takes the money in the hole-in-one prize fund.